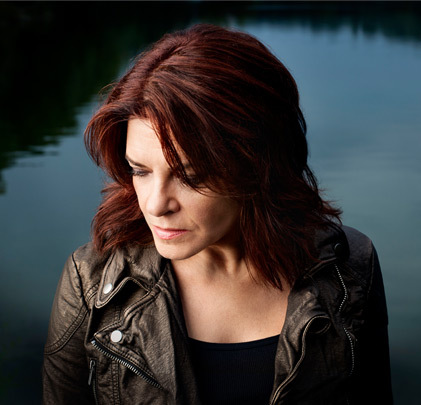 Grammy Award-winning singer-songwriter Rosanne Cash will headline the fourth annual American Roots Music Festival at Caramoor, a family friendly celebration of acoustic music on Saturday, June 28, 2014. Set on 90 acres of gardens and Italianate architecture in Katonah, Westchester County, NY – 40 miles northeast of New York City — the Caramoor Center for Music and the Arts is well known for its summer music festivals. The Folk Music Society of Huntington is delighted to be a Cultural Partner of the festival and will have a presence there. Cash will be performing songs from her newly released album, The River & the Thread, a collection of original songs that connect and re-connect her to the American South, where she was born and from which her family hails. The album was #1 on the Roots Music Report Americana/Roots Country radio airplay charts for a couple of weeks earlier this year. Opening for Cash in the evening program beginning at 7:30 p.m. will be The Lone Bellow, a Brooklyn-based trio. Artists slated to perform during the afternoon (12-6 p.m.) include Cricket Tell the Weather; Joe Crookston and the BlueBird Jubilee with Peter Glanville; Kim and Reggie Harris; Miss Tess & the Talkbacks; Bruce Molsky, Tony Trischka & Michael Daves; Spuyten Duyvil, and Walkabout Clearwater Chorus. 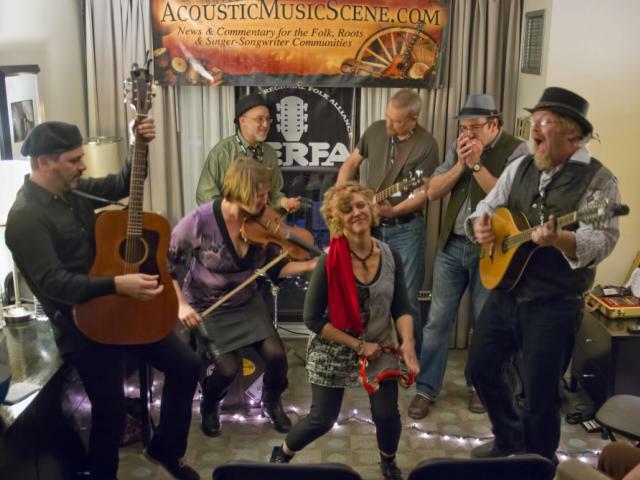 Also scheduled is a social music hour — an old-time music workshop featuring some of the artists mentioned above and patterned after one that Spuyten Duyvil’s Mark Miller has led here and at other music festivals. Folks attending it are encouraged to bring their instruments or just gather round to learn about several old-time musicians and sing their songs. “Caramoor is a nature paradise and the music takes place in several locations on the grounds so that folks can experience some of the environmental beauty as well,” says Maggi Landau, the festival organizer. She notes that during the daytime artists will be performing acoustic, unplugged sets in the Sunken Garden – “a quiet grove with the audience sitting on the ground literally at the feet of the artist” – as well as on the larger Friends Field. The evening concert featuring Rosanne Cash will take place inside the Venetian Theater for which there is reserved seating. $25 daytime only tickets (excluding the evening performances) and full-festival tickets, priced at $35-$70 (including reserved seating for the evening concert) may be ordered by calling (914) 232-1252 or visiting www.caramoor.org. Attendees are advised to bring their own chairs for the daytime performances. Although limited food and beverages will be available for purchase, folks also can bring their own and enjoy picnicking on Caramoor’s spacious lawns.